The weekend is almost here, time to get a jumpstart! 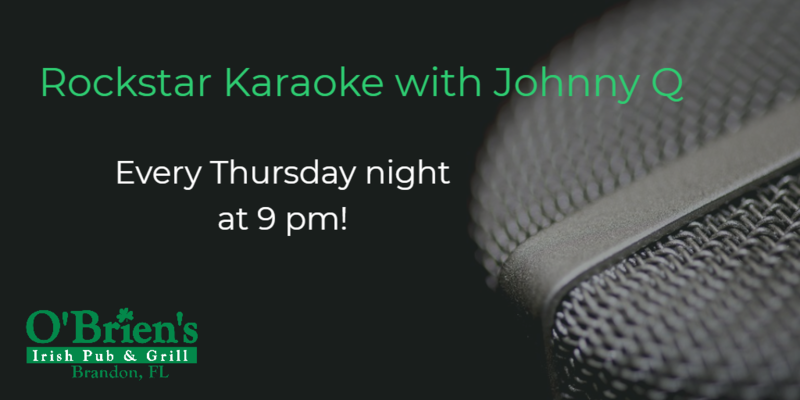 Join us every Thursday at 9 pm for Rockstar Karaoke with Johnny Q! Time to show us all that practice you got in while driving wasn’t for nothing!! Drink specials all night (ask your server for details) & our kitchen is open until 2:30 am!